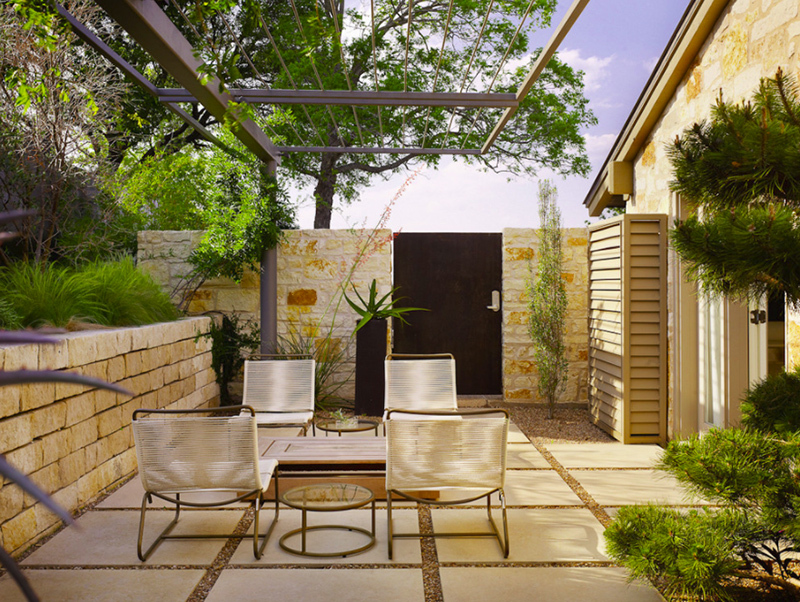 Do you plan on creating a seating area outdoors? It would be fun to read a book outdoors or have a little chitchat with your family and friends. Apparently, you need a seating area! 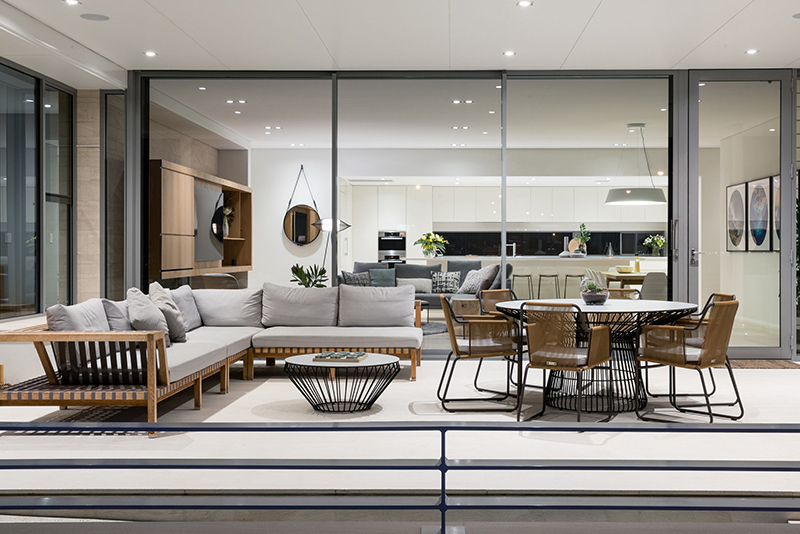 That is why some homeowners allocate a space with outdoor furniture where everyone can spend time together. In today’s list, we would be exploring the patio furniture that some homeowners pick out for their homes. Actually, if you hire a decorator or an Architect, they usually suggest a couple of furniture that they think would go well with the design of your house. The furniture that we would be showing you today might be simple or ordinary, but look closer and you’ll see that they look great where they were placed. Go ahead and check out the list and see for yourself! First on the list is a 6-seater dining set. 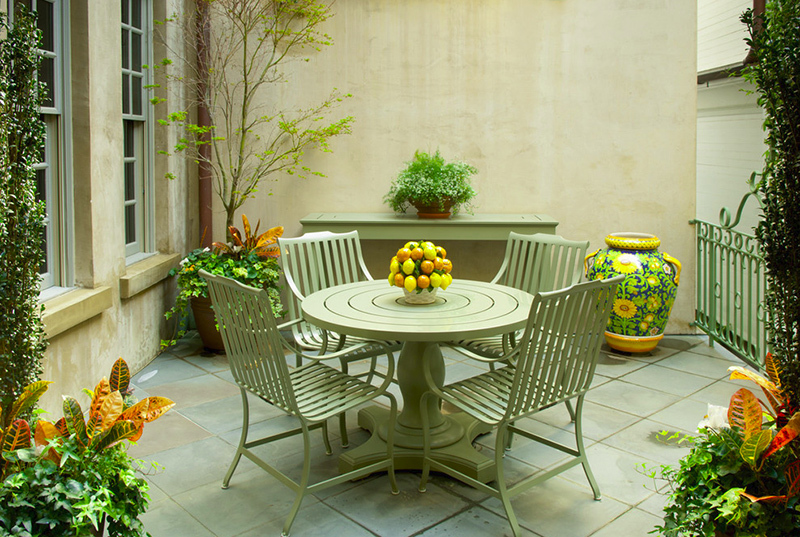 From what we can see in this wrought iron outdoor furniture idea, they only have 3 wrought iron chairs sine the planters on the side of the table are benches too! Pretty cute combination of metal and wood – exceptionally done! 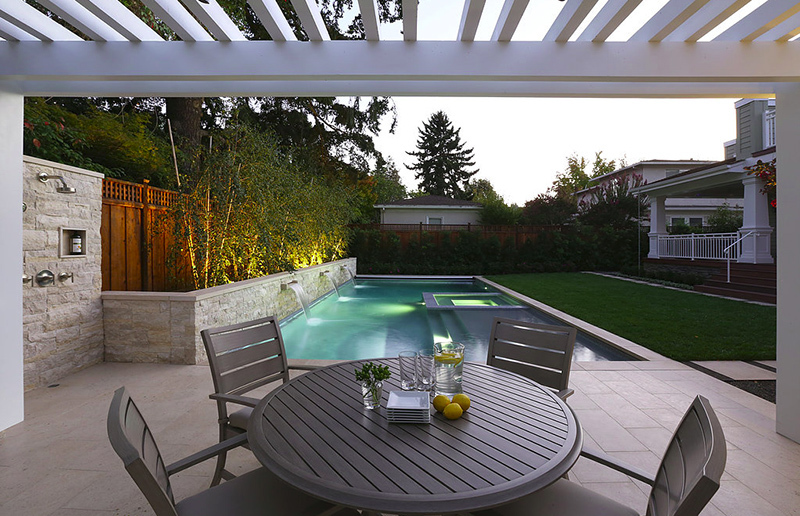 Seen on the photo is a dining set in grey which complements the color of the trellis, the flooring and the outdoor tiles close to the pool and Jacuzzi. This furniture set may seem simple, but it sure looks pretty charming for this home. I personally love the design of the tables in this photo. The dining table and the coffee table just beside the sectional and the dining set. The combination of the metal and the wood sure is mesmerizing to look at; the design of this furniture set is seen as transitional and I’m totally loving it! It’s not often that we can see outdoor furniture to have rounded legs like that of swivel or recliner chairs. But in this photo, we can see that a design like this one is actually available. The weaved back of the chair rest makes it quite charming and homey. This furniture set sure is stunning because of the red accents it has along with them! Pairing the furniture with a red planter also made a whole lot of difference actually! Totally loving the fact that this space has a great view! We see two sets of this lovely furniture in this photo – a bit further away is a dining set and the one closest to the foreground is for a nook – two chairs and a side table. The detail on the backrest of the chairs is quite evident and even when it looks like inverted triangles or hearts, using this bluish color makes it more approachable and charming. The lush greens on this home garden sure looks really colorful and pretty! Even the outdoor furniture does not even stand out because of all the colors the plants have. I think black wrought iron furniture for your outdoors is always the way to go – but nothing wrong with a colorful set! Now this is one lovely color for your outdoor furniture! It’s like a bit of cream and a bit of green. It’s nice how it just blends in with its surroundings and yet still standing out. 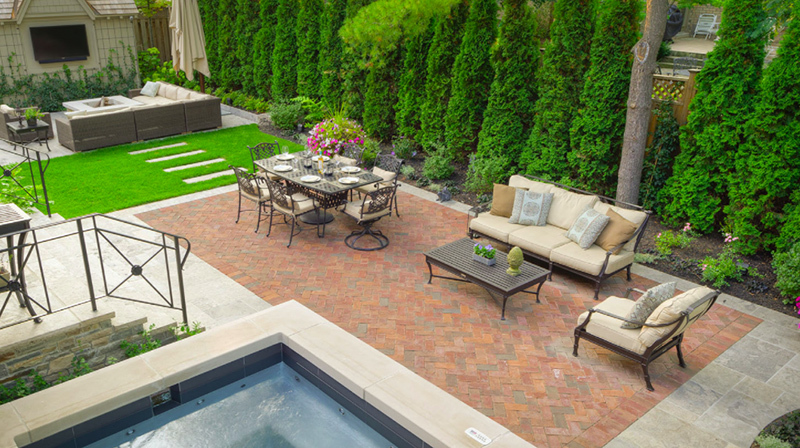 From the colors of the walls to the tiles and even to the railings, I think this patio sure is stunning! This is outdoor living at its finest! 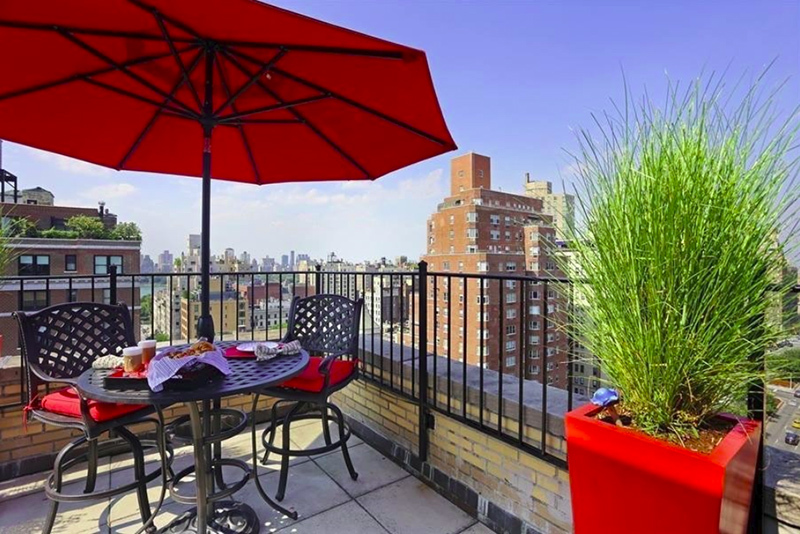 I mean, look at all the furniture and design that this outdoor space has! It has its own living area, its own dining area and even its own kitchen! 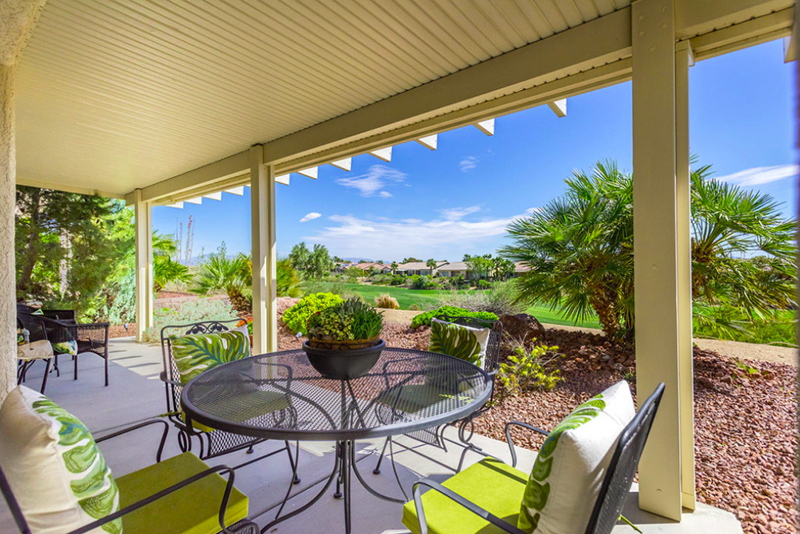 Don’t you just want to come over here, grill some steak and drink wine with your friends! This is what I was telling you about when I said that you can always opt for colorful outdoor furniture! Even if it is indeed colorful, it sure still blends in with the colors of the plants on its side. I love all the greens just popping out of the wall! Totally stunning for a mini urban garden! Now this is one beautiful outdoor setting. Looking at how this area is designed, you could tell that this belongs to a large family or one that accommodate a lot of relatives and friends. The color combination is simple but definitely stunning and very ideal for outdoor spaces such as this one. 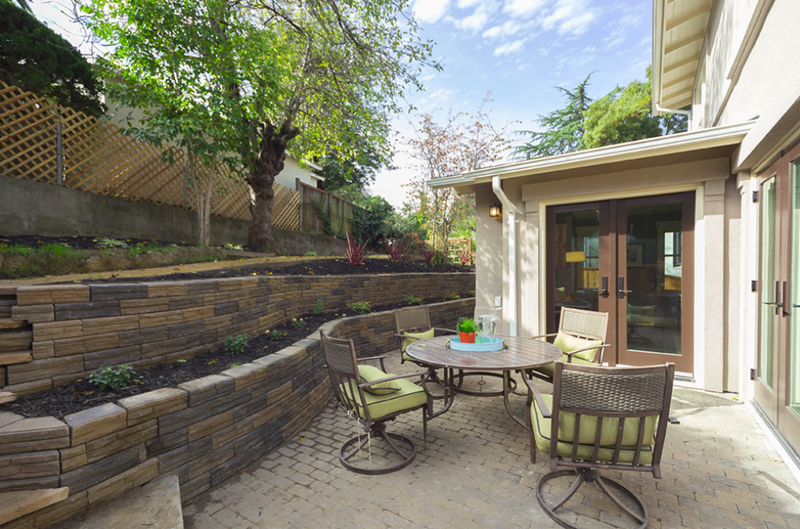 Even with a small patio or outdoor space, one could always opt for a seating area for the family or friends that come over. A small grill is placed beside the seating area for barbecue Wednesdays. 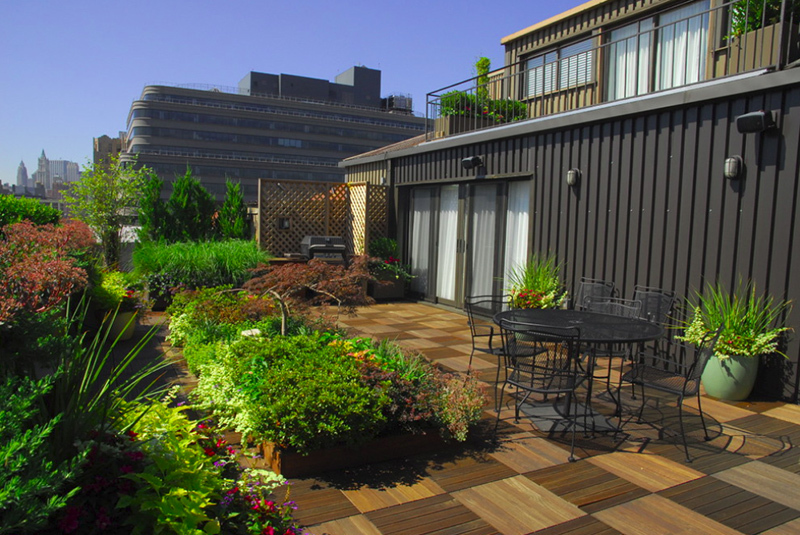 Notice that this patio is just beside the sidewalk – close to noise, but nights would surely be wonderful. 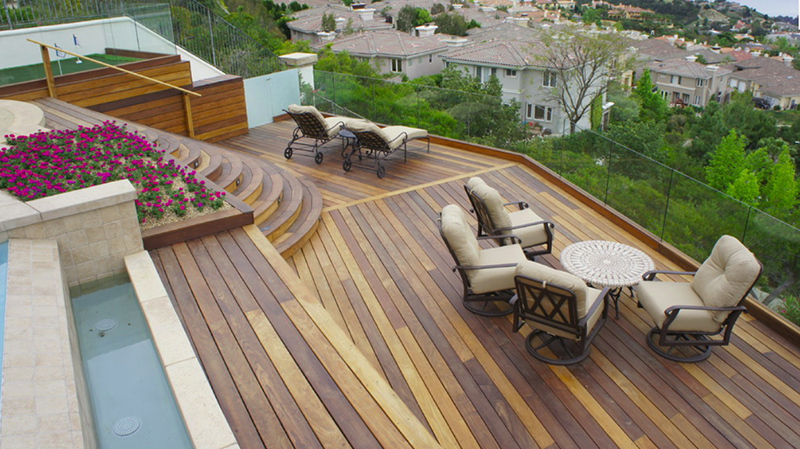 Look at the comfortable looking seating area in this beautiful deck. The chairs have cushions on them for the comfort of the users and I think that it’s really nice – of course, every now and then, you have to take them out especially when you know that it would be soaking wet. I love how beautiful this enclosure is. From the white planters to the wooden gate enclosing this seating area and mini pond. The eight-seater outdoor furniture stands out because of the contrast of its color with the color of the paint used around it. Here is another cute arrangement for a mini urban garden just outside your house. The contrast of the brown gate with the plants inside the lot and that of the neutral color of the furniture is a wonderful sight to see. 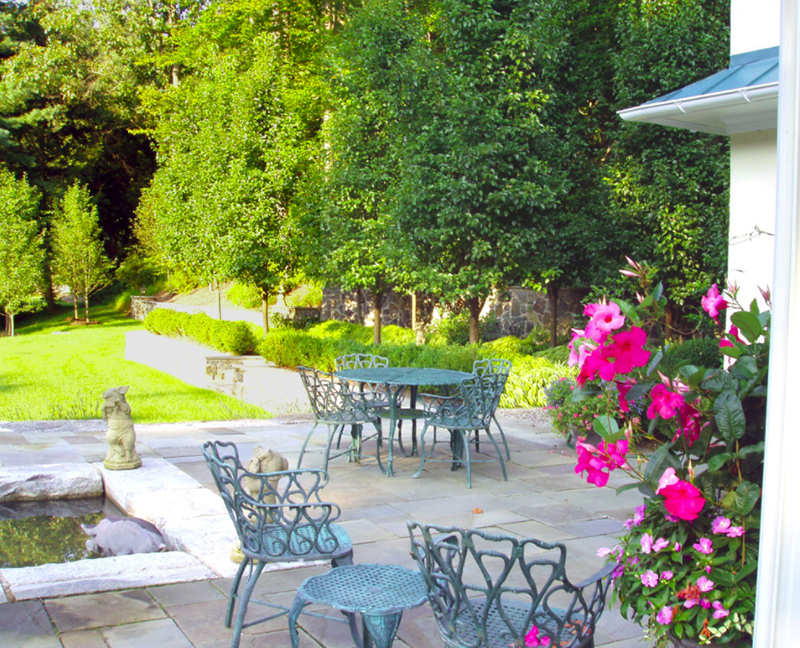 An outdoor seating for this wonderfully grown garden. 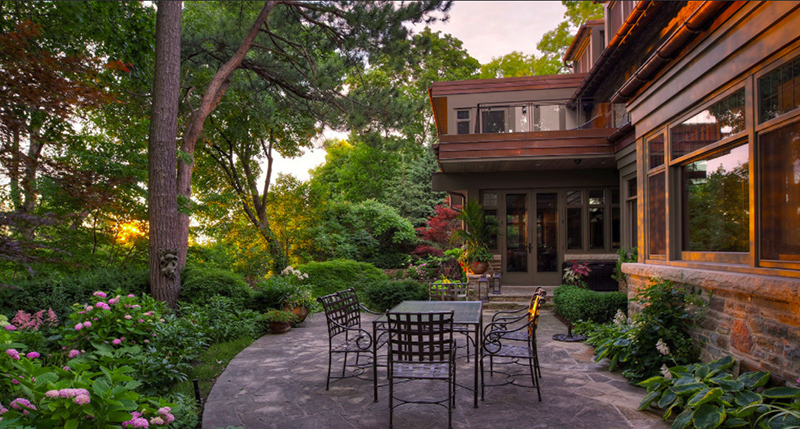 The neutral color used for the exterior of the house complement well with the garden and the color of the outdoor furniture – a simple design is seen on the chairs but it still sure is beautiful. 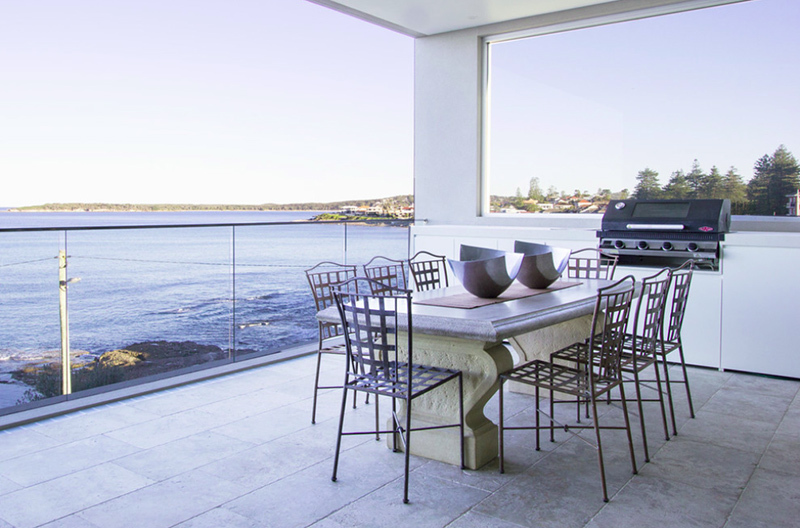 A beautiful view of the beach and the city close by is seen along this patio with simple yet functional dining furniture in this Cronulla home. The table in here is made from marble and I think it looks great paired with the wrought iron chairs. 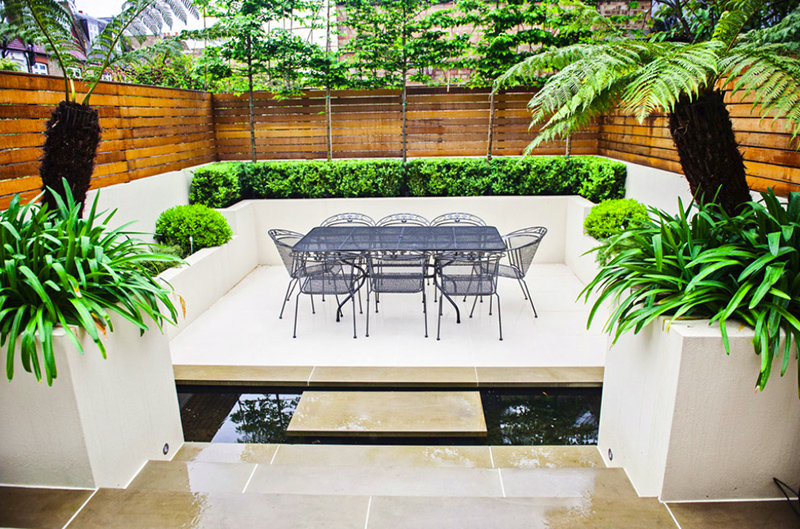 A six-seater wrought iron furniture placed in the heart of the garden of this Fulham residence. 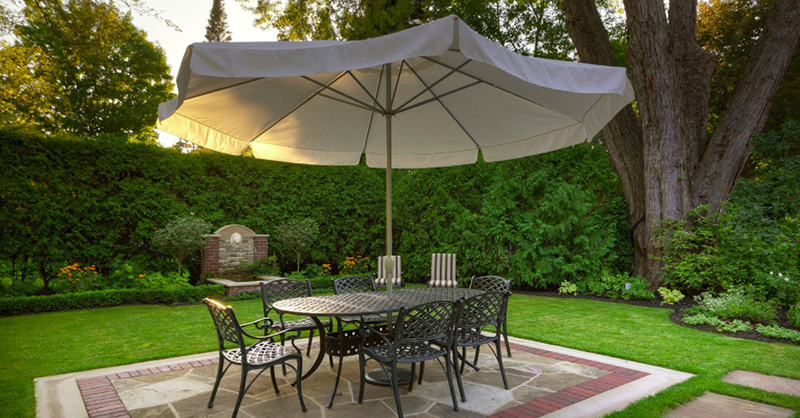 I like that this one has an outdoor umbrella to cover the furniture when it is too hot or if it is raining. This furniture set that we have in this Mark Ashby designed home is quite special. It looks really beautiful, modern and even if this design is similar to that of a lounge chair used for the beach or the pool, placing it here sure makes the space prettier because of how much it complements the colors of the exterior of this home. Circular table paired with four beautifully-designed chairs the complement the table and its surroundings. The pillow and cushion that they added to the chairs blend well and match the colors of the plants around it – I love it! 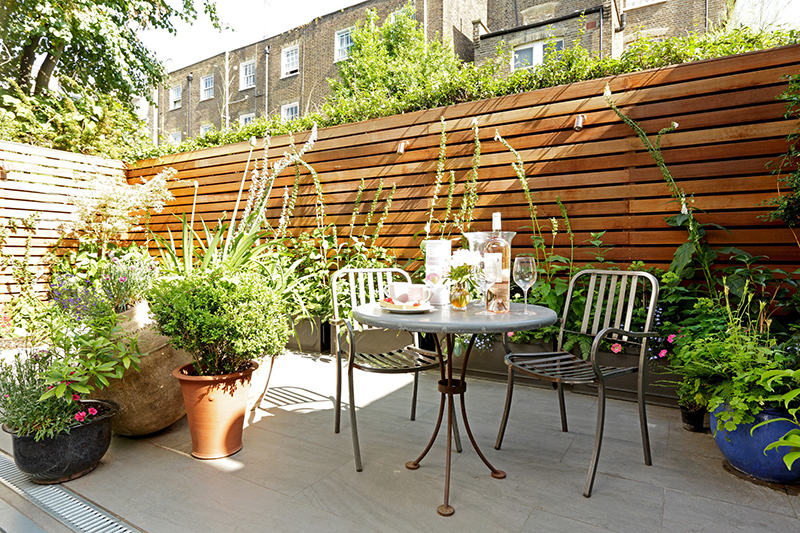 There you have it guys, a list of wonderful outdoor photos that showcase wrought iron furniture which we usually see in our own gardens or that of our friends. I think more than the furniture, we are also attracted to the location where these furniture are actually placed. And if you like to see more wrought iron items, check out the 20 Wrought Iron Chandeliers that will surely be reminiscent of this list.